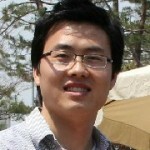 Dr. Yuelong Li received his PhD at Korea Institute of Science and Technology (KIST) in March of 2012, and then he moved to University of California-San Diego (UCSD) for his first postdoc until June of 2014. He is currently a postdoctoral researcher in the group of Multifunctional Optical Materials (http://mom.icmse.csic.es) in the Institute of Materials Science of Seville with financial support from Marie Curie International Incomming Fellowship from September of 2014. His main activities are devoted to the synthesis and characterization of novel nanomaterials for their application in photovoltaics, especially flexible type dye solar cells on plastic or metalic substrates. He has completed or be involved in numerous research projects financed by both national and private companies. He is author of more than 16 peer-reviewed publications, inventor of 3 internationalized patents, and numerous scientific presentations in international conferences. 17. B. Kim, Y. Li, H.Jung, D.-K. Lee, J. Y. Kim, B.S. Kim, H. J. Sun, D.-H. Kim, M. J. Ko, Enhanced interconnection of TiO2 nanoparticles using atomic layer deposition for flexible dye sensitized solar cells with plastic substrates, Nano, 9, 1440011, 2014. 8. H. N. Cho, S. R. Min, Y. Li, C. W. Chung, Dry etching of IZO thin films using a C2F6/Ar plasma, Applied Chemistry, 11, 77-80, 2007. 7. S. R. Min, H. N. Cho, Y. Li, S. P. Choi, C. W. Chung, Dry etch of magnetic tunnel junction stack pattered with nanometer size using HBr/Ar and Cl2/Ar plasma, Applied Chemistry, 11, 165-168, 2007. 6. H. N. Cho, S. R. Min, Y. Li, C. W. Chung, Inductively coupled plasma reactive ion etching of TiO2 thin films using a C2F6/Ar gas, Applied Chemistry, 11, 397-400, 2007. 5. Y.Li, S. R. Min, H. N. Cho, C. W. Chung, Effect of rf-sputtered indium zinc oxide thin films on efficiency of dye-sensitized solar cell with low-temperature process, Applied Chemistry, 11, 598-601, 2007. 4. Y.Li, H. N. Cho, S. R. Min, C. W. Chung, Indium zinc oxide thin films deposited by radio frequency magnetron sputtering for fabrication of flexible dye-sensitized solar cell, Applied Chemistry, 11, 606-609, 2007. 3. H. N. Cho, Y. Li, S. R. Min, C. W. Chung, Effect of O2 concentration and annealing temperature on the characteristics of indium zinc oxide thin films, Journal of the Korean Industrial and Engineering Chemistry, 17, 644-647, 2006. 2. S. R. Min, H. N. Cho, Y. Li, C. W. Chung, Dry etching of nickel thin films using a Cl2/Ar gas, Theories and Applications of Chem. Eng., 12, 2424-2427, 2006. 1. Y.Li, H. N. Cho, S. R. Min, C. W. Chung, Influence of sputtering parameters on the optical and electrical properties of rf-sputtered In2O3-ZnO films, Theories and Applications of Chem. Eng., 12, 2543-2546, 2006.